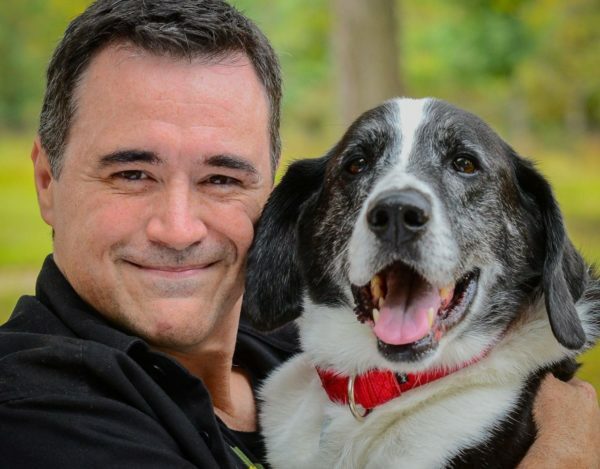 Home » CONTESTS » DOG FILES MEDIA ANNOUNCES ITS HOLIDAY GIVE BACK! Dog Files is known for their award-winning videos showing why dogs deserve our love, care and respect. Starting on Dec 14, 2015 they are making their talents available to small shelters, rescues and organizations promoting pet welfare throughout the USA. If your group needs a beautiful, professionally created video for your small shelter, rescue or non-profit, etc., Dog Files is opening up ten slots for the coming year at an incredibly LOW cost! First, we will contact you to help you decide what kind of video would help you the most. After all, this is all about helping the animals! Next, Dog Files will spend one day at your facility in January or February, filming whatever you’d like for your video, including your facility, your animals and any interviews we will need. Thirty days later, we will deliver a beautiful, emotional video that you can post online and show at your facility. We can even create a commercial for you if that’s what you’d like! CHECK OUT THE VIDEO BELOW THAT WE CREATED FOR THE GOOD FOLKS AT ELEVENTH HOUR RESCUE IN NEW JERSEY. As many of you know, this past March, Dog Files Mascot and my best friend, Max passed away. It’s been a hard year and I was amazed at the compassion that was shown to me from the tens of thousands of Dog Filers around the world. I’m been trying to come up with a way to give back and I thought what better way than to do what I do best for all the incredible groups out there that work so hard trying to help man’s best friend. OKAY, IT SOUNDS AWESOME, BUT WHAT’S IT GOING TO COST US? The first ten small shelters, rescues or non-profits that sign up before January 1, 2016 will get their videos for $999.00 plus traveling costs. What are traveling costs? That would be an airplane ticket, a room to sleep, and maybe a car rental. How can we bring the cost down even more? Well, Dog Files Media is located in Orlando, Florida, so if you aren’t that far away (a few hundred miles) we can drive instead of fly. Another way to lower travel costs is if we get two or three videos in the same vicinity, we can film at the same time and you can split the travel costs. You can always pick me up at the airport and set me up in a spare room. That would cut out car rental and hotel costs! And finally, many times people have frequent flyer miles they can use to get me to their location. Look into every option! IS THAT REALLY A BARGAIN? All I can tell you is that Dog Files is a maker of award-winning videos! Our Hero Dogs Of 9/11 one hour special is played on Animal Planet every year and we are privileged to regularly create videos for the American Humane Association and the ASPCA. Our normal prices for small non-profits is easily 200% to 300% more than what we are asking for here! Please share this post through Social Media so we can get the word out to small shelters, rescues and non-profits and hopefully help dogs and cats around the country finally feel the love and compassion they deserve. Go here to check out a bunch of our Dog Files Episodes! Almost everyone was filmed in only one day and there are plenty of great examples of what we can do for your organization. In case you are even more ambitious, we can definitely do more than one video for you and/or spend more than one day with you.